Every home and office security system works for one goal: to ensure the protection of all entry points – particularly doors – and the inside space that contains valuables like jewelry, gadgets, art collections, and others. Audio and video intercoms are considered one of them. They make your property safe by allowing you to speak to visitors and to see their faces first thus eliminating the risk of forcible entry. Without this, you will basically open the door when someone knocks and you will be surprised to meet robbers outside, waiting for you so they can get in. Some of these handsets allow you to make calls from one unit to another that in case of emergency – like if you are sensing threats just outside the door – you can immediately alert the other member of the family who is at the kitchen or in the second floor and instruct him to call for the authorities while you are still stationed at the front door, watching their movements. To know more about wireless intercom system (including the wireless video intercom system), you may speak to our customer support staff at (866) 306-8557 and we will be pleased to share to you all the information we know about this security device. We can do in-home inspection, per your request, so we can check your entry points and see where it is best to locate the unit. Our rates are reasonable; we also ensure high quality installation service thus you can get value for your hard-earned money. 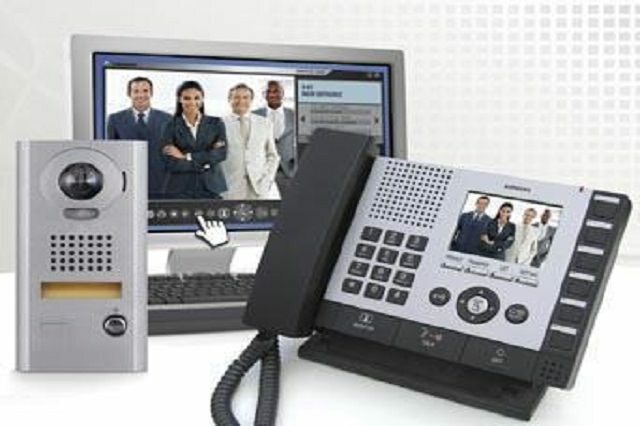 San Diego Locksmith offers services related to video intercom system and audio intercom system. These locksmith services are priced reasonably that you should not think twice about hiring us to make your home and business well-secure. Intercom System Installation – Improve the security of your property by calling us to perform AV intercom system installation. Through this intercom, you will be able to screen people before you give them access to get inside your home and office. This unit is especially useful for families with teens and small children at home because they can view the person on the doorstep first and verify if he is a stranger or someone they know before they push the button to open door lock. Intercom System Repair and Replacement – Someone rings the bell, but you cannot see who is outside because the video is not working. You can hardly recognize the voice because the audio has problem as well. Should you open the door? What if the person at the front door is a stranger and is just waiting for you to unlock it so he can attack you, get inside your home and steal gadgets, money, and other valuables? You do not want to be in this situation so if your AV intercom is broken, call us immediately at (866) 306-8557 and we will give you service estimate. Soon as you approve the price, we will go to your place and perform the job. Our workers are certified and professionals that you can be certain of our premium locksmith service. 7 Day Locksmith has come a long way; with our several years of being in the industry, we have become one of the trusted locksmith companies in the city. We are able to form an expert team that provides high quality locksmith services to residences and businesses. We keep ourselves updated about new information and technologies existing in the locksmith industry so we can continuously deliver excellent work to our clients. We have the most durable and most recent tools, accessories, and home and business security products in our shop and service van so can guarantee 100% security to our clients and their families and workers, and to avoid work interruption due to unavailability of items. Our workers are friendly; we do background check and drug testing before we hire new staff to maintain our good reputation and to make our clients comfortable and safe as they work with us. Over the years, we are proud of our achievement s and more important, of the feedbacks we received from our customers. More than the profit, we take pride in the number of happy clients we have now. We install, replace, and repair audio intercom system and wireless intercom system to help increase the level of safety in every home and office. You may call us at (866) 306-8557, tell us all your concerns, your objectives, and your plans, and we will make some recommendations. We can also do in-home inspection so we can give accurate pricing. A higher level of security – Intercoms take your security up several notches as the handsets are designed to build connection and communication between the exterior of the front door and the interior of the property by using microphones, speakers, and even video/camera. When someone presses the door bell, you will be notified instantly. You can then check who is outside and decide if you will speak to the visitor and unlock the door or not. If he is a relative or a friend, you can speak to him directly through the intercom and then tell him to go inside. If he is a stranger and looks suspicious, you can reject his access. In this case, forcible entry is avoided. You can also use it to monitor activities in your home or office. You can set it up where kids stay often so you can easily check what they are doing while you are in the kitchen cooking or in your room working. In the office, you can place it in the front door of your room so you can choose to grant or deny access to the person outside. 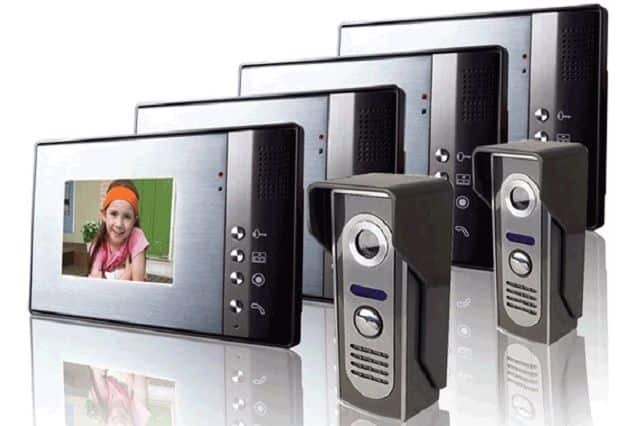 Comfort – If you have wireless video intercom system, you do not have to go to the door each time the door bell rings, especially if the person outside is someone whom you do not want to talk to. You can simply ignore the bell, pretend that you are not there, and continue with what you are doing.